At an event in New York, the company revealed its flagship smartphone which has features like AI integrated camera, enhanced sound system and much more. 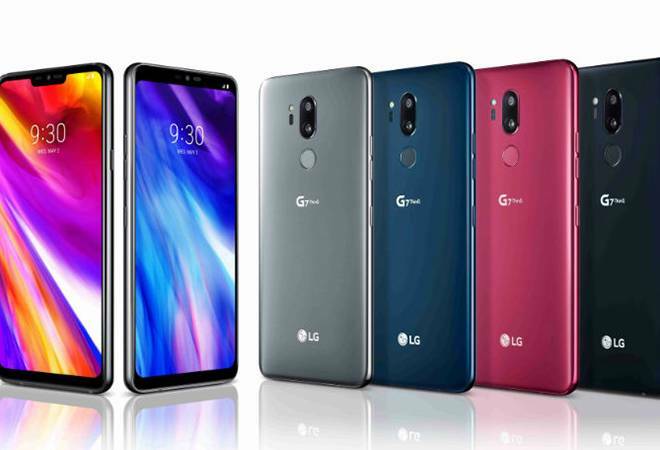 LG has launched its latest flagship smartphone, the G7 ThinQ. At an event in New York, the company revealed its flagship smartphone which has features like AI integrated camera, enhanced sound system and much more. The smartphone will have Android Oreo and will come in four colours Platinum Gray, Aurora Black, Moroccan Blue and Raspberry Rose. It is the first smartphone with dedicated a Google Assistant key which means that you can launch Google Assistance with a single tap while a double tap will boot-up Google Lens. A rear-mounted fingerprint scanner is also available with the phone. LG still has a 3.5 mm headphone jack with a Hi-Fi Quad DAC as well. It also gets a new "Boombox System" which will make the G7 ThinQ louder than all its contemporary competitors. The phone has a 6.1-inch LCD display with resolution of 3120 x 1440 pixels. Another highlight in the display is that it offers a "Super Bright" technology which will increase brightness up to 1,000 nits. The device is powered by a Snapdragon 845 processor with 4GB RAM with storage of 64GB or 6GB RAM with 128GB storage. It gets a micro SD and support with a battery of 3000 mAh. The phone comes with glass on both the front and rear which supports wireless charging. It is water and dust resistant with IP68 certification. G7 ThinkQ flaunts a back camera that has 16 megapixel primary sensor with f/1.6 aperture and a wide-angle 107-degree 16 megapixel shooter at f/1.9 aperture. The front camera houses an 8 megapixel sensor. The AI features kick-in on the basis of what one is shooting. For instance, if the user is clicking food pictures, the camera will enhance the colours to make it look more appealing. LG G7 ThinQ may have all the ingredients of a flagship and then some more but it seems the device will have to struggle for limelight in the premium segment. The ThinkQ will compete with the Apple iPhone X, Samsung Galaxy S9+, Huawei P20 Pro and the upcoming OnePlus 6 which will launch in London on May 16.